Can you tell us about your label, Ink & Spindle. 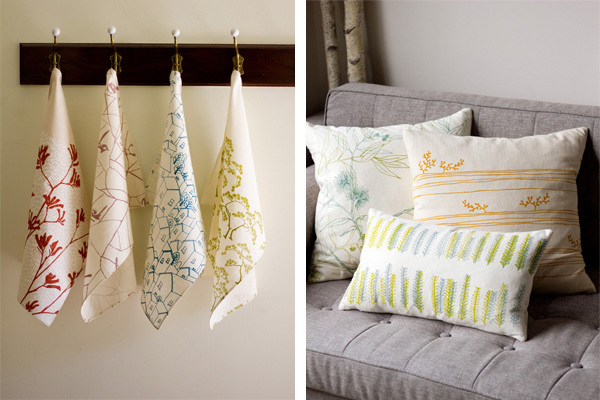 Ink & Spindle is a boutique textile studio located in Kensington, Melbourne. 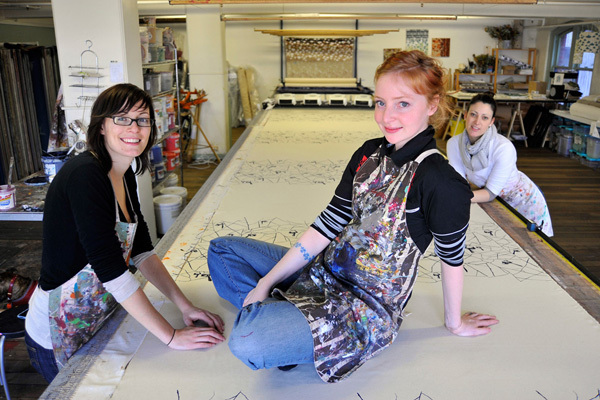 Owned by designers Lara Cameron & Tegan Rose, we design and screen print all our textiles by hand (our hands!) ethically & sustainably. How did you two meet and how did you get started? We originally had a third business partner who introduced Lara & I, so that was how we met. We got started because I believe we were in the right time & place! We were only 24 & 26 at the time and pretty much figured that if we didn’t take the leap and start I&S then we’d always wonder what could have been – and if it failed, well, we would have given it our best shot. Thanks to equal parts luck & hard work, we’ve managed to stay in business so far! What steps to you take to keep your impact as low as possible and what tips can you offer others? We do everything we can to keep our impact on the environment as low as possible, it really is a key part of our ethos. 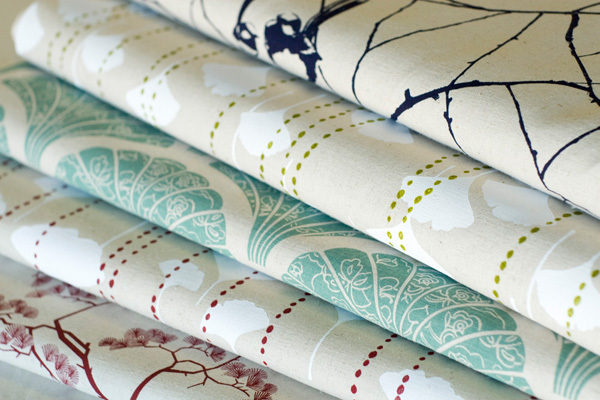 We weigh up all our business decisions based on being as environmentally sound as we can. 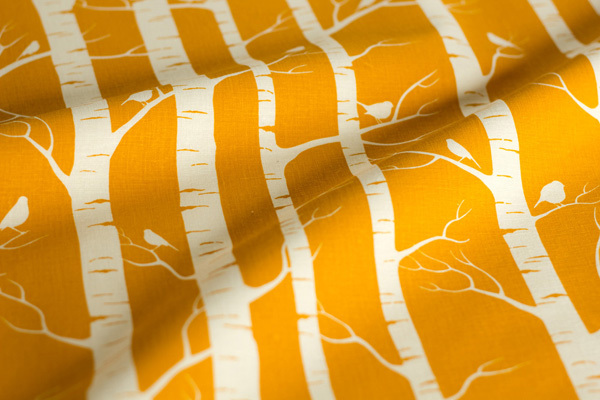 Our entire range of fabrics are printed on organic & sustainably grown basecloths, using only water based, solvent free inks. We separate all of the ink particles from our wash-up water, so the water that goes down the drain is as clean as possible. We plant 125 tree per year to offset the emissions that come from our studio. 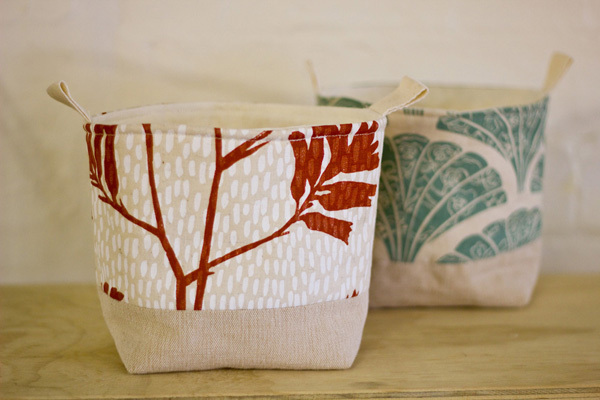 All our packaging is completely recycled and biodegradable – we use food grade cello bags instead of plastic. 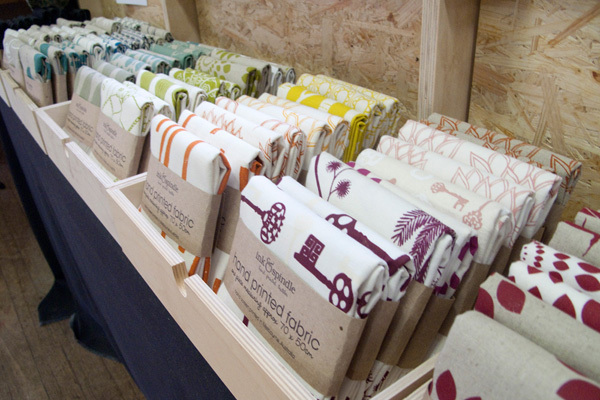 We also use every last scrap of our fabrics in one product or another so there’s no wastage. Your prints are lovely! Where do you find inspiration? Thank you! Ahh, that ol’ chestnut! Indeed, where does anyone find inspiration? I think it just kind of hits you in the face when it’s there! The official party line is: Our designs are largely inspired by nature and our hometown of Melbourne – we love Australia’s native flora and fauna. What has been some of the biggest challenges so far? Our biggest challenges are pretty boring ones that every small business NO DOUBT has too! They are: managing cash flow & finding the headspace to be creative (ie, not just running the business!). We think we’re getting better at finding a balance, though. What can we expect at the FK melbourne markets coming up? Ooh! 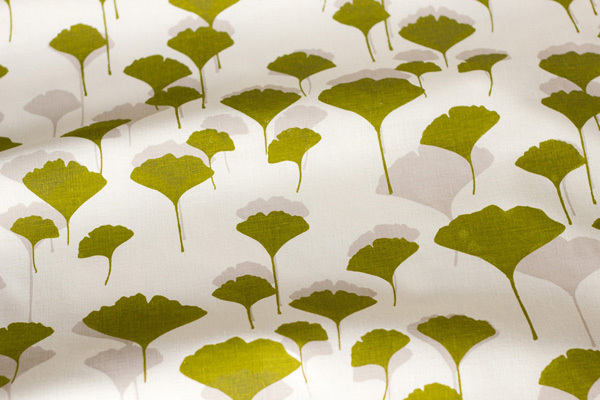 Exciting things indeed – we have just released a brand new range of prints on GORGEOUS organic cotton jersey with the little person in your life in mind – FK Melbs will be their first venture out in to the world! We hope the world likes them & makes heaps of pairs of adorable p.j’s & cute t-shirts! 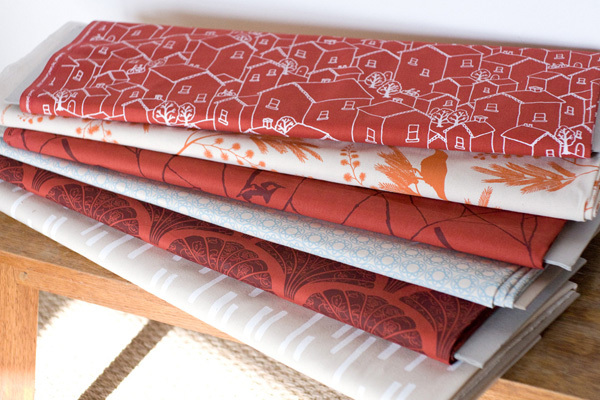 We also have some great new quilt kits and wheat-bag kits for those impending winter months!